The coolest dorky shoes I have ever owned. 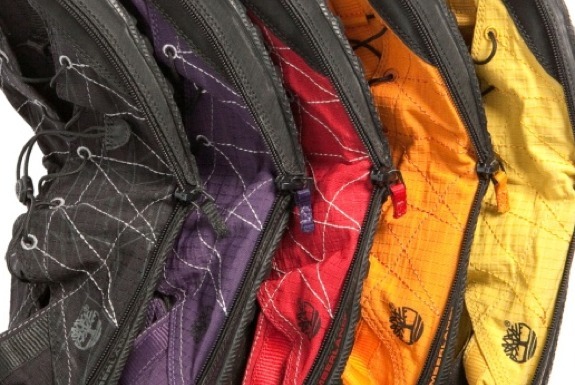 They kinda look like Chucks made out of parachute material, with weird spaceman laces and a zipper running around the side but the ability to have two shoes that I could stash in my glove compartment, a pouch on my back pack, or even store in a cargo pant pocket was intriguing. I hate lugging around a full sized pair of shoes. You end up sacrificing a good portion of your pack or have them rattling around in your trunk when you try to take corners at 80 mph(which you should always do) I found a pair new on ebay for $35 bucks(Timberland must really have missed the mark on these, they are all over the place for way below the original msrp and they made them in a gazillion colors, they must have had high hopes for them at one point) So I paypaled off my cash and totally forgot that I ordered them. the color combo I got…rugged yet zippery…. 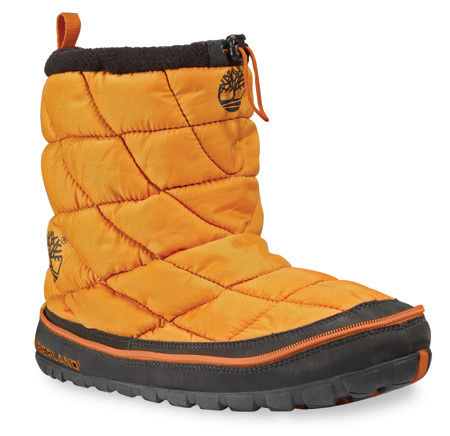 They also come in crazy snow boot flavor…but alas…I have not yoga pants nor the pinoche to pull that look off…. 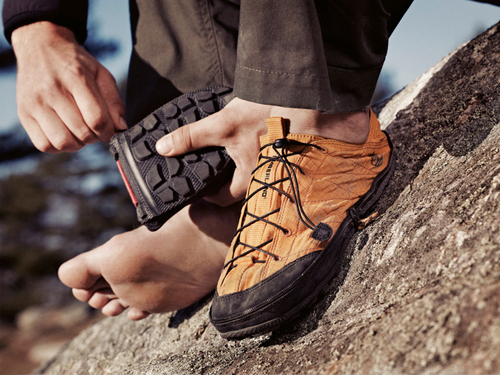 This entry was posted in Amazing, Reviews and tagged feet, hiking, shoes, timberland, walking. Bookmark the permalink. 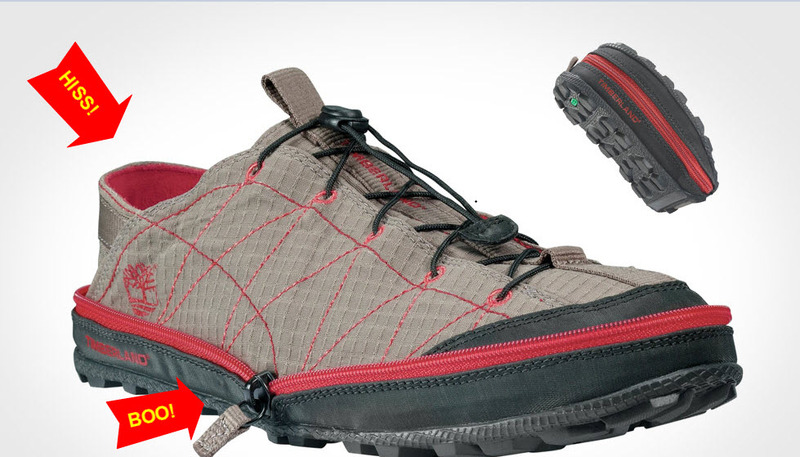 To provide a simple critique of your critique; you don’t have a link to where someone can purchase such awesome zipper shoes. egads…you sir are quite right….this must be remedied quickly….